If anyone is going to negatively compare this new 40th Anniversary Edition to Sony’s 2011 Digi-book release, it will be due solely to the fact that this new release is given a more standard presentation. The two discs are housed in an ordinary Blu-ray case with film-related artwork that originated as one of the film’s American one-sheet designs. The case is further protected by a slipcover that utilizes this same artwork. The 12 5 x 7 semi-gloss lobby card photographs included with Sony’s previous release of Taxi Driver aren’t included here either. However, it should be firmly stated that the artwork used for this release is vastly superior to the “Digi-book” art, and this nearly makes up for any perceived deficiencies. Notes: This title is also available as a 2-Disc DVD release. The same extras are included on the DVD edition, with the exception of the 1986 audio commentary with Martin Scorsese and Paul Schrader. 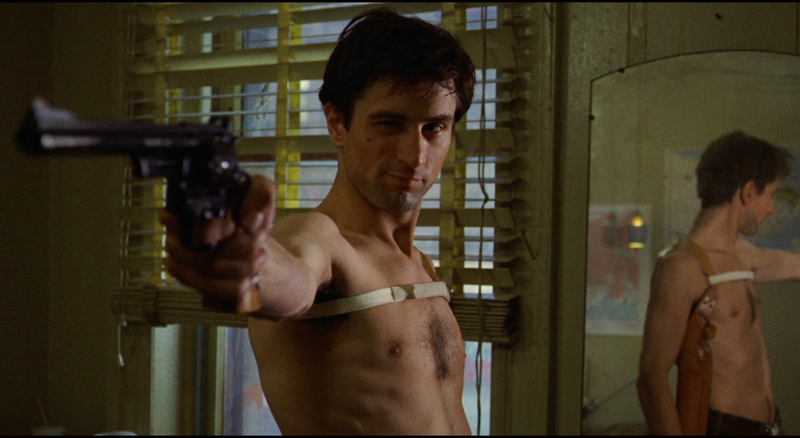 Travis Bickle is one of the most memorable social misfits in all of cinema. He is simultaneously inscrutable and accessible. The vagueness of the narrative contributes to the dream-like nature and provides an extremely subjective experience. 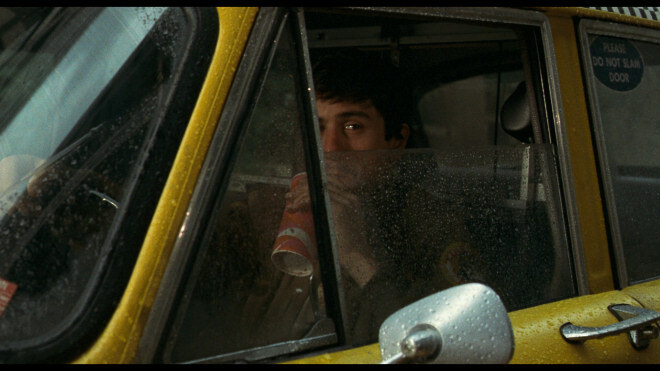 Perhaps this is the reason that Taxi Driver has endured for 37 years. People experience the film in ways that are accessible to them. The film grows and changes with the viewer. 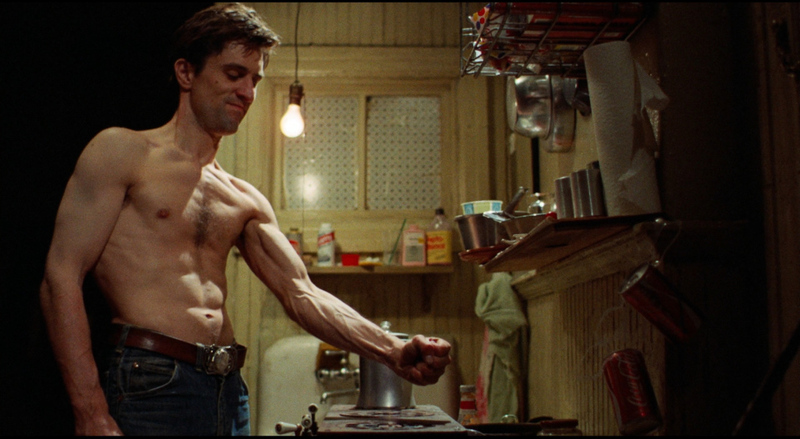 Taxi Driver delivers an immaculately conceived package for fans of the film. The “Digibook” presentation is actually a tri-fold package with beautiful artwork and a plastic tray that keeps the disc well protected. This is much preferred to the folder-like sleeve that most special releases insist on including (these do not protect the disc). The case includes a compartment that holds a dozen high quality 5 x 7 semi-gloss photographs. The set includes a poster reproduction, promotional stills from the film, and behind the scenes photographs. The animated menu is extremely attractive and showcases the incredible Bernard Herrmann score. The film’s 4K restoration transfer is exceptional. It is difficult to imagine that the film ever looked any better than it does on this incredible transfer. Cinephiles will appreciate that the transfer does not attempt to reinvent the horse for modern audiences, but represents the film as it is originally intended. The transfer exhibits a cinematic layer of grain that is faithful to its celluloid source and the image seems to be free of any DNR or scrubbing of the image. Edge enhancement is also never an issue. Instead, the image maintains the film’s detail in a manner that is much clearer than it has ever been on home video. Shadow detail is top notch, and blacks seem surprisingly accurate and free of any issues. Colors are also rendered accurately. The only noticeable flaw in the entire image is the shoddy looking Columbia logo at the beginning of the film. The lossless 5.1 DTS-HD MA soundtrack is also spectacular. While the track will not compete with more modern sound mixes, this track represents the film as it should be represented. The film’s source elements are produced here with fantastic fidelity. The film’s dialogue is mixed at consistent levels and is always extremely clear. Bernard Herrmann’s classic score has never sounded as good as it does here. It is conceivable that a few people might complain that the surround activity of the mix is limited, but this as is it should be. It is difficult to imagine that this film has ever sounded better than it does on this disc. The disc comes with a comprehensive set of supplemental material. This feature length commentary with Martin Scorsese and Paul Schrader is the best of the discs three commentary tracks. The track was originally recorded for the 1986 Criterion Laserdisc release. Scorsese dominates the track and offers his thoughts on the production. He is always engaging. Schrader’s comments are repeated in his solo track, but offer another perspective on occasion. It is an essential listening experience for fans of the film. Laurent Bouzereau’s comprehensive documentary on the making of Taxi Driver is the best feature on a disc full of excellent supplements. With a length of over 70 minutes, every aspect of production is discussed by the film’s cast and crew (Robert De Niro, Jodie Foster, Cybill Shepherd, Harvey Keitel, Albert Brooks, Peter Boyle, Martin Scorsese, Paul Schrader, Michael Chapman, and more). Scorsese’s associates and contemporaries (Robert De Niro, Paul Schrader, Roger Corman, Oliver Stone, and others) discuss the director and his legacy. This is an interesting featurette, but one wishes that it was more comprehensive. Michael Chapman, Ed Koch, and a few other participants discuss New York as it was in the 1970s and the changes that were made since that period. Cab drivers (and former cab drivers) share their experiences of working in New York in the 1970s. This featurette is always interesting, but is one of the less essential supplements included on the disc. Martin Scorsese discusses his reasons for using story boards to help him plan (or pre-visualize) his scenes. Unfortunately, the “trailer” included on the disc is actually an MTV-style advertisement for the 2-Disc DVD release. Most fans would likely prefer the original Theatrical Trailer. 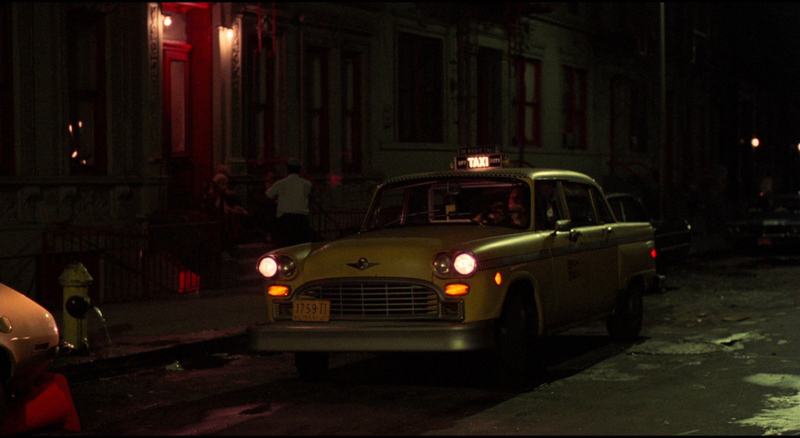 Taxi Driver is an amazing film and a classic that is required viewing for everyone. Sony’s Blu-ray release is near perfect. The 4K restoration image, incredible sound mix, and comprehensive supplementary material make the disc an essential purchase.